First of all, listen to the bass hit at 00:19. It’s the sickest beat on which you can open your verse in a song like this. Belgian-Congolese rapper Badi’s collaboration with Central African DJ Boddhi Satva in the Kitendi music video coins their representation of the Central African identity and culture in Francophone Europe (particularly in Belgium and France). The video is set in Café Barge in Paris and focuses on the fashion choices of all individuals present, at the same time, it capitalizes on their presence as a group to create the most fly-looking squad for a music video. “Signes externes de richesse pour masquer notre faiblesse” (External signs of wealth to hide our weakness). “Nouvelles chains en or, on reste esclave du système” (New gold chains, you remain slave to the system). Kitendi means clothes in the Congolese language Lingala. By using this as a title and centering the song’s social commentary around this word, Badi, who raps in French, represents his native Congolese identity in a European setting. This is important to note because Badi uses his lyrics to carve out a place for Congolese fashion culture in Western Francophone Europe. The video goes on to include glimpses of famous African artists such as Kester Emeneya, Papa Wemba, and Stervos Niarcos – who were at the forefront of the 1960’s French-African fashion movement known as La SAPE (SAPE stands for Société des Ambianceurs et des Personnes Élégantes which means the Society of Ambiance-Makers and Elegant People). The movement stems from cities within the Congo, and gained traction as a wider pan-African movement with the success of musicians from the Democratic Republic of Congo. It is worth noting that the roots of this movement were manifested in the early 20th century, during French colonial rule in Congo, with the aim of combatting systemic inferiority complexes that accompanied colonialism. Therefore, his focus on this movement decades later recognizes that the battle for artistic recognition of Congolese culture is an ongoing one, even though colonialism has formally surpassed the African continent. Badi’s lyrics reestablish the African connection to Western fashion with his shout out to Kanye West – “J’etais stylish avant Kanye” (I was stylish before Kanye). This is very bold, but more importantly, it is imperative in recognizing the African influence in Western fashion movements. His chorus shouts out to famous Western fashion designers like Versace and Armani, but ends with a strong question, est-ce que tu connais le discipline Kitendi? (Do you know the Kitendi discipline?). 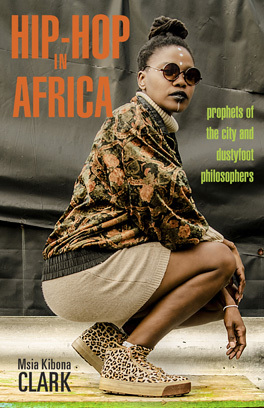 Thus, the lyrics leave the audience with an idea of Congolese influence on modern day fashion choices, and opens the discussion of post-colonial impact on native African identity.